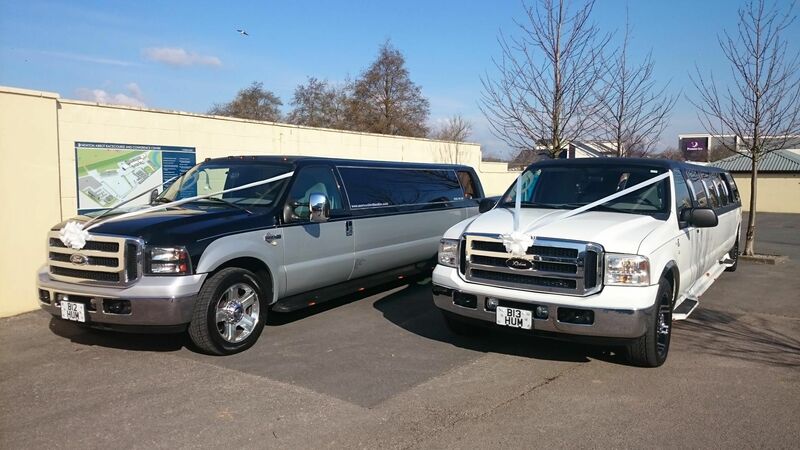 Here at Newton Abbot Limo Hire, we cater for a number of different occasions and events, some of our most popular events to cater for have been; weddings, birthdays, nights out, school proms, hen/stag parties, airport transfers, corporate events, Ascot races, and much more. Whatever you wish to do we will be able to cater to your needs. There are lots of different packages to offer such as our 1 hour hire, packages like these will transport you to and/or from your destination and include drop offs, pickups, and pit stops if need be. With time to sit back and enjoy your bubbly you will not be disappointed. 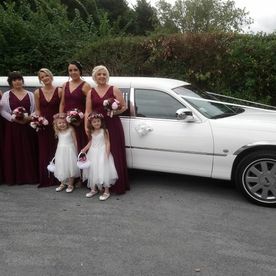 Newton Abbot Limo Hire has a number of different limousines to choose from, each with their own unique features and styles there is something to suit everyone. Visit our ‘Vehicles’ tab to find out more information on what our individual vehicles have to offer. 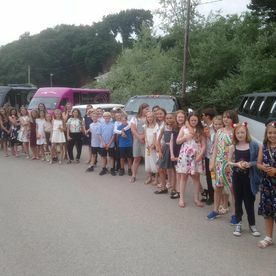 Newton Abbot Limo Hire covers all and surrounding areas of Devon, with lots of different things to do and see there are activities to suit every age. Whether you are getting hitched or celebrating your 21st birthday there are places fitting for any occasion. Visit our ‘Events’ page to get an idea of what packages are available, what vehicles are most suitable and what South west has to offer. 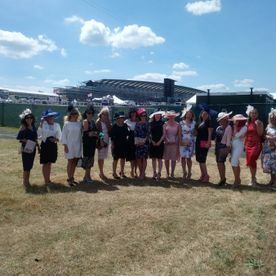 Every Limo operator knows that June is one of the busiest months of the entire year and Royal Ascot is one of the reasons why. Here at Newton Abbot Limo Hire we have delivered and returned people to and from Royal Ascot for over 12 years now. We know exactly what our customers want and know how to provide it. Our family-run team are dedicated in providing you with a unique experience, starting from the day you enquire to the moment we drop you off home. Royal Ascot is an exciting week and one that we enjoy with our customers each year! Royal Ascot is one of the largest horse racing events of the year and offers a great day out. 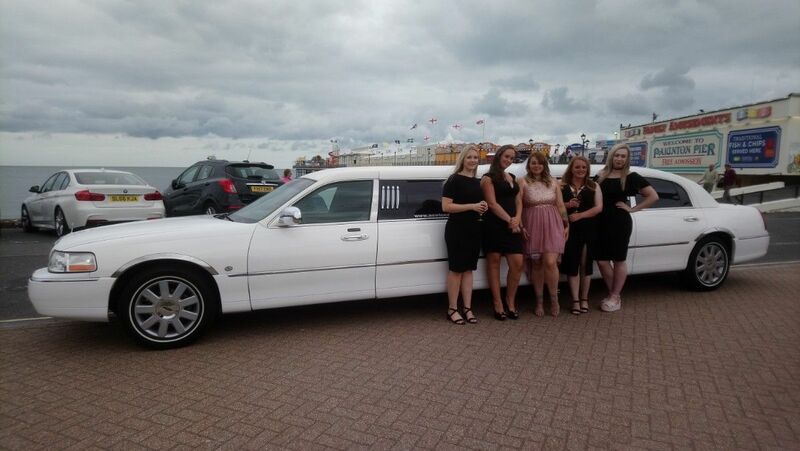 Newton Abbot Limo Hire offers a complete package for this great event, which has been proven popular throughout our years in the Limo industry. 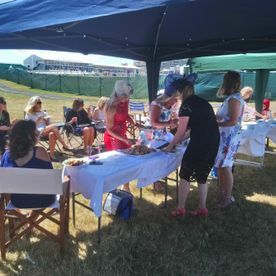 Each Ascot Hire Package includes the following: your designated driver will pick you and your guests up from your desired locations, upon arriving your limo will be allocated its own private parking area close to the race course that you can use as a base to enjoy your refreshments before, during & after the day’s events. Our courteous chauffeurs will stay with you throughout the day to assist you with all your needs. 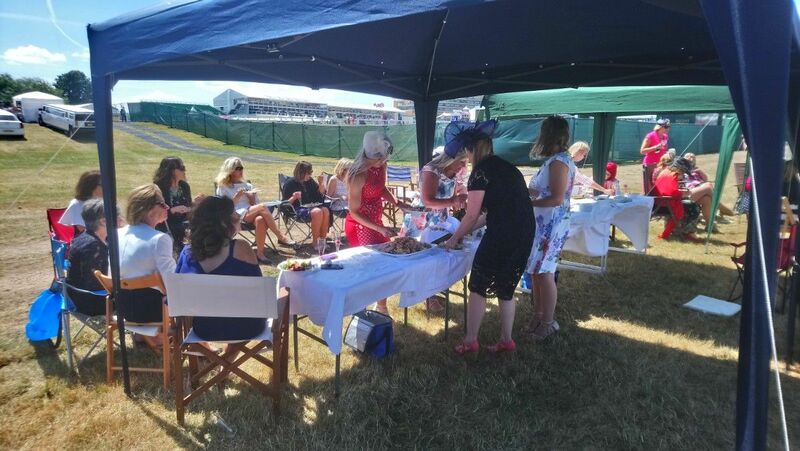 Newton Abbot Limo Hire will also provide you with tables, chairs, a gazebo, soft drinks, waters, balloons and plenty of bubbly to get your celebrations started! You will feel like a true VIP, whilst our friendly uniformed drivers take care of you for the day. 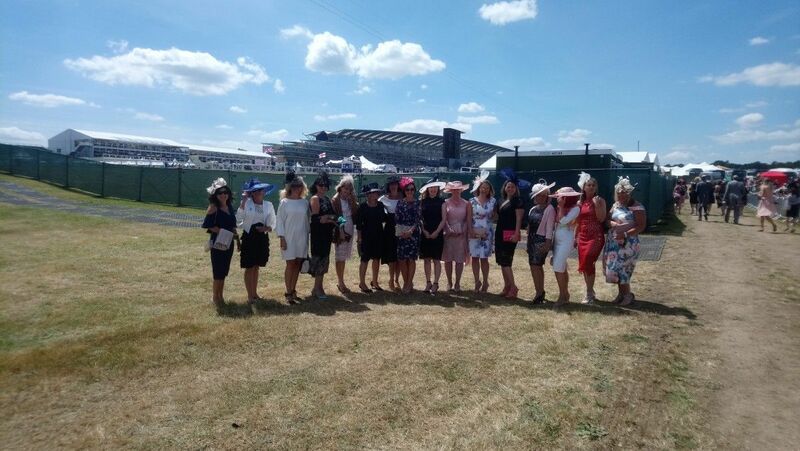 Ladies day has to be one of the most popular days. Our range of Party buses and Hummer Style Limousine are perfect for those ladies who are part of a large party wanting to travel to Ascot in style and elegance, all of them offer a great experience and are equipped with the latest sound technology, mood lighting, newly refurbished interiors, plasma screens and much more. Let us kick off your day by escorting you to your sporting event in style and sophistication. 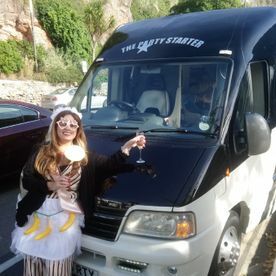 Sit back or even party away with your champagne and party playlist, this is a great way to travel and a more fun and also cheaper alternative to public transport. 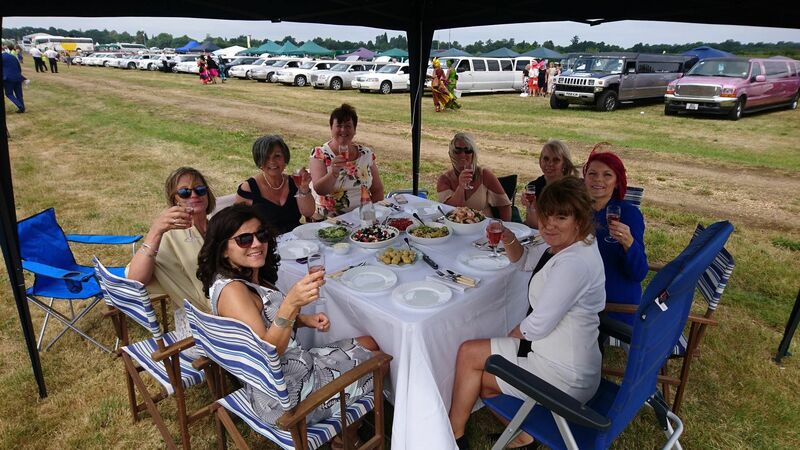 Let us take control and responsibility whilst you relax and enjoy your day at the races! 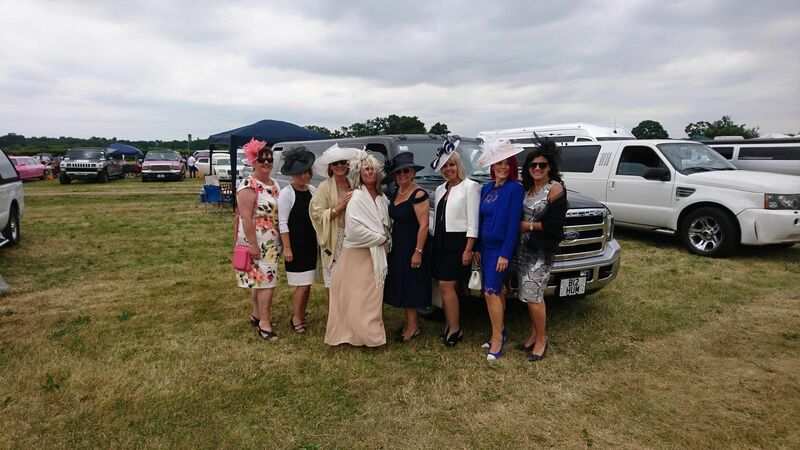 It cannot be denied that one of the most popular and admired sporting events to attend in the Limousine hire calendar is Royal Ascot. However we also cater for races all year round such as Cheltenham and Newbury. 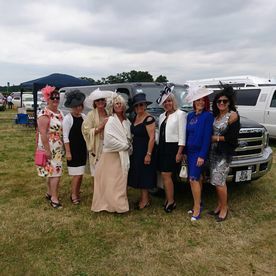 As Royal Ascot week is one of the busiest weeks for Limousine companies, with a high demand of people wanting to hire out our vehicles it is important that you enquire and book a Limousine with us in advance to avoid disappointment. 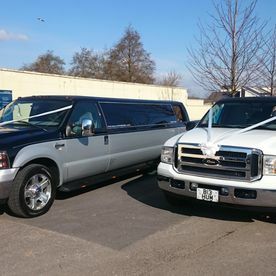 Here at Newton Abbot Limo Hire, not only do we offer transport to and/or from all major sporting events, including horse racing at Ascot, Newbury and Cheltenham we also cater for events such as; boxing matches like those held at the O2, football matches at Wembley Stadium London , Wimbledon, rugby matches at Twickenham, darts at London O2 and many more. These are just some of the few sporting events we offer Limousine hire to and from, we are able to cater to any preferences and needs. With a large fleet you are bound to find a Limousine that suits you and your parties desires. We offer a range of different packages, including 1 hour hires and returns. What is more, we are able to personally tailor a hire package to suit your specific requirements, whether that includes extra pickups, drop offs or pit stops. Tell us what you want to do and we will do our best to advise you and help you make this become a reality. To get a quotation today fill out our quick online quote form and one of our members of staff will get back to you ASAP. If you wish to speak with one of our team directly, do not hesitate to contact us on 01626 366366 and a friendly member of our team will answer and questions or queries you may have. 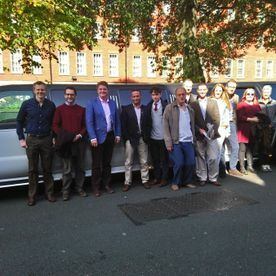 Here at Newton Abbot Limo Hire we believe that your stag party should be unforgettable, as it’s your last time to party as a bachelor, there is no better way to start your party than in a limousine, Party Bus or hummer style limousine, with it’s amazing sound and light system and onboard bar. 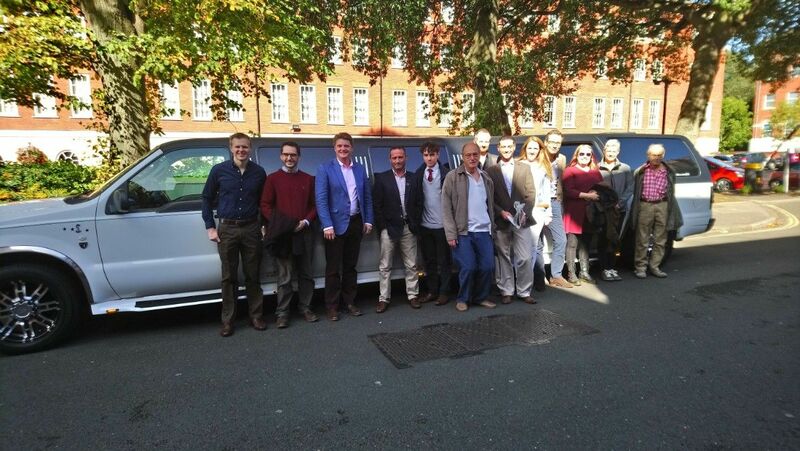 Treat yourself and your friends to one of our stunning vehicles and make your stag do a night to remember! We have several limos to choose from, all with their individual look and features; there is something for everyone. 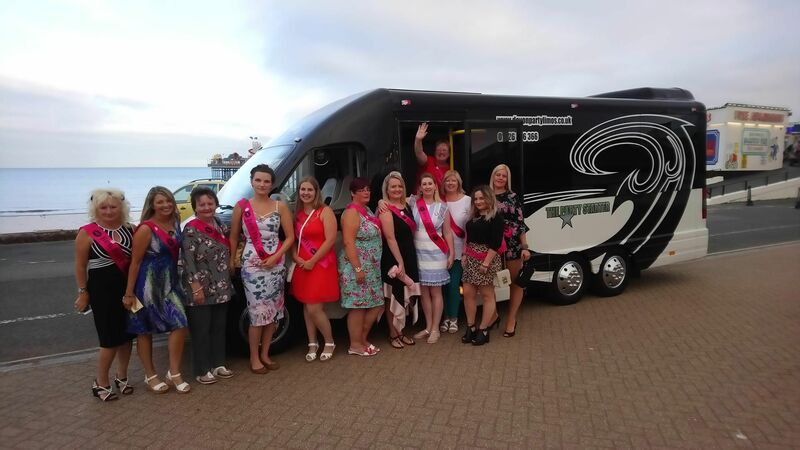 It’s time to wave goodbye to being single and an excuse to party with your mates, if partying the night away, traveling to a city or going to a casino is your thing then let Newton Abbot Limo Hire take care of your travel needs! 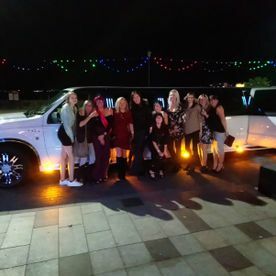 Hen Parties are a time to party with your friends before your special day, there are many traditions that will decide what you do, whether you want to dance the night away or spend a weekend at a luxurious spa, or decide to go on a short holiday, let Newton Abbot Limo Hire take care of your travel requirements. 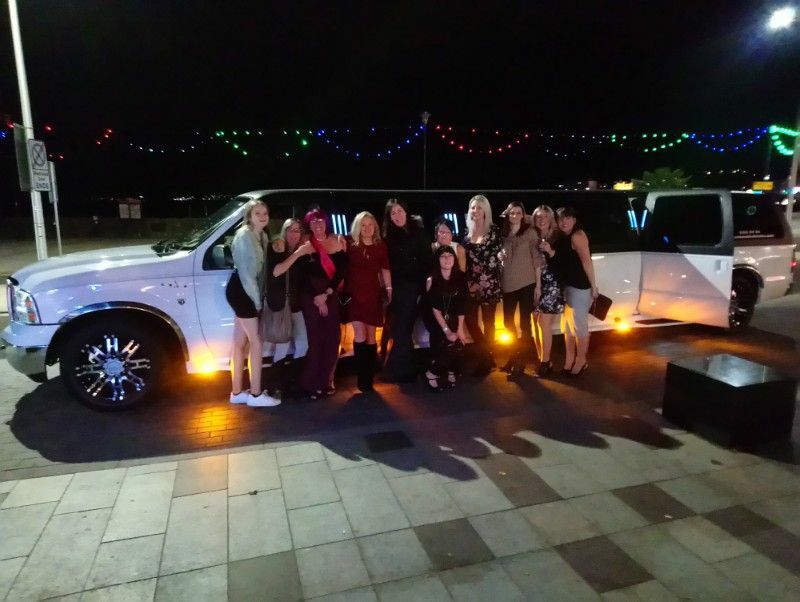 We have a stunning white or black hummer style limousine which is very popular with hens with its onboard amazing sound and light system guarantees to get your hen party off to a great start. 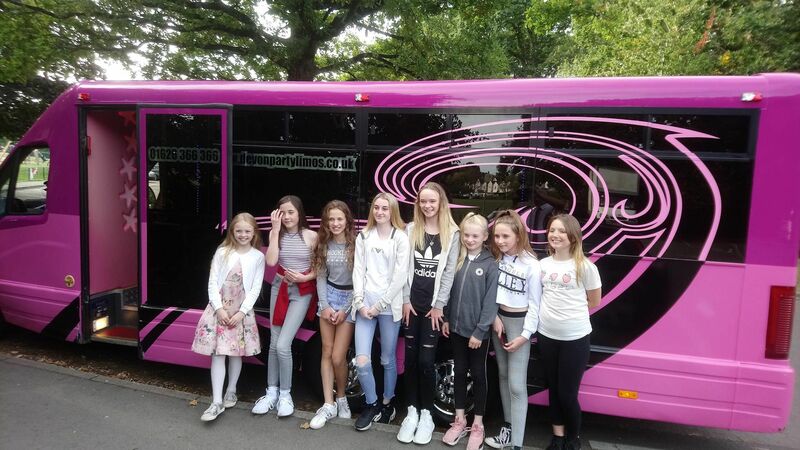 Whilst all of our vehicles are suitable for any event our Pink and Black Party Buses are the most popular, fun, exciting and reliable types of hen transport. 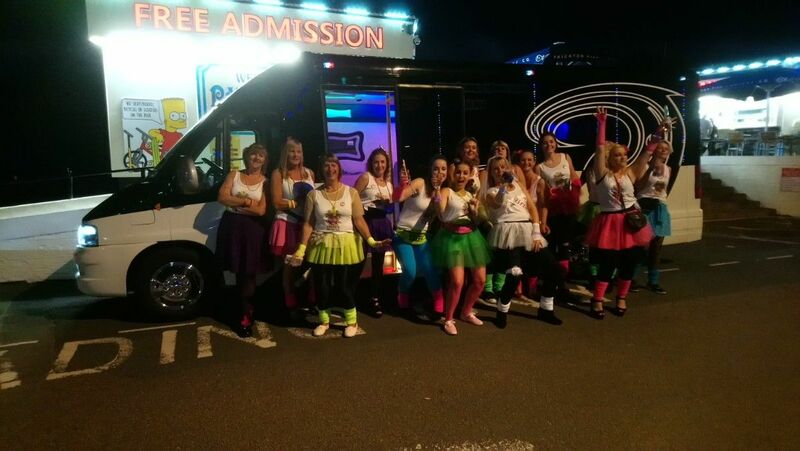 Way wait to celebrate when you can start your hen party early on route to your venue. Each hen can be picked up on route or we can pick you as a group from one location. 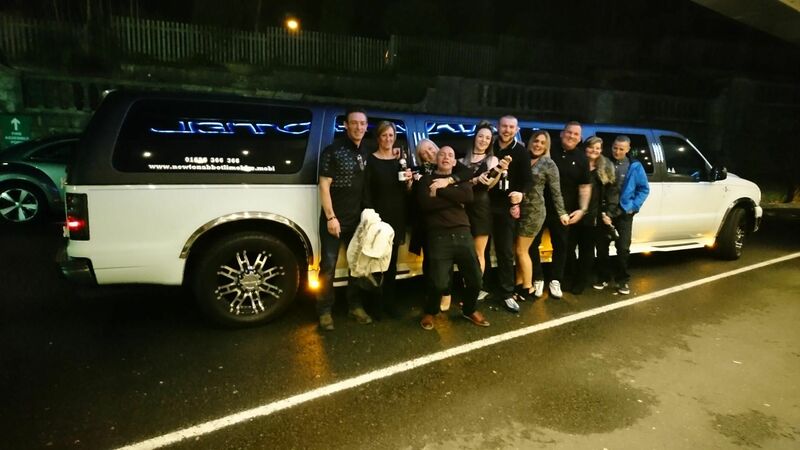 Enjoy drinks and listen to your favorite music as you travel in style, here at Newton Abbot Limo Hire we can assure you that you will not be disappointed! WHERE CAN WE GO? 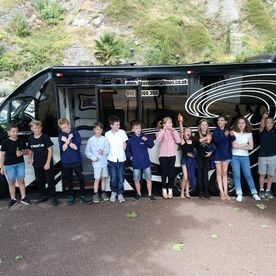 This is a frequent question for us here at Newton Abbot Limo Hire, and the answer is… we operate our Limo Hire Services in Exter, Torquay, Newton Abbot, Plymouth. We can pick you up from your chosen area and whisk you away to venues not only in Devon, but anywhere in England. 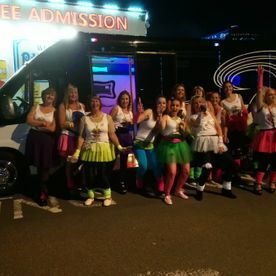 Some of the most popular places to visit for hen, stag or even a ‘sten’ parties include Bournemouth, Bristol, Birmingham, Cardiff, and many more. Don’t be disheartened if your location is not listed above as with us here at Newton Abbot Limo Hire, the list is endless! 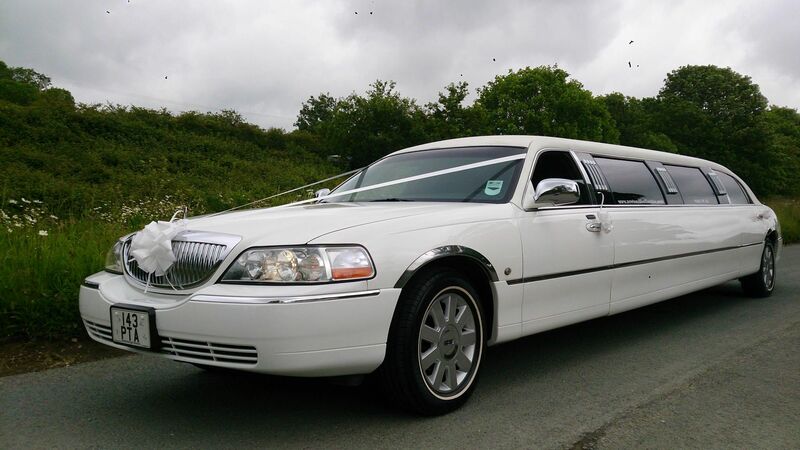 If you would like a quote for one of our limos, then call Newton Abbot Limo Hire on 01626 366366 or if you are happy with your quote and would like to place a booking then a deposit of £50 or £100 (depending on the type of your booking) is required. Payment can be made by using bank transfer or most credit/ debit cards, however a 3% charge will occur if using a credit card. The full outstanding balance is to be payed 30 days prior to your hire. 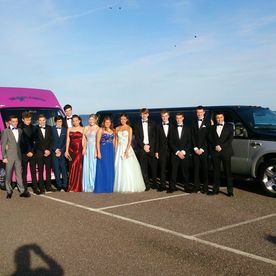 Here at Newton Abbot Limo Hire we are always catering for a number of different events, however when June and July come around year 11 proms and year 6 leavers take over! As well as other events going on, school proms and leavers take centre stage. All students look forward to their end of year school prom, it’s the time to celebrate all your academic achievements with your friends. It’s a time of glamour and glitz and there is nothing more glamorous than arriving in a limousine. 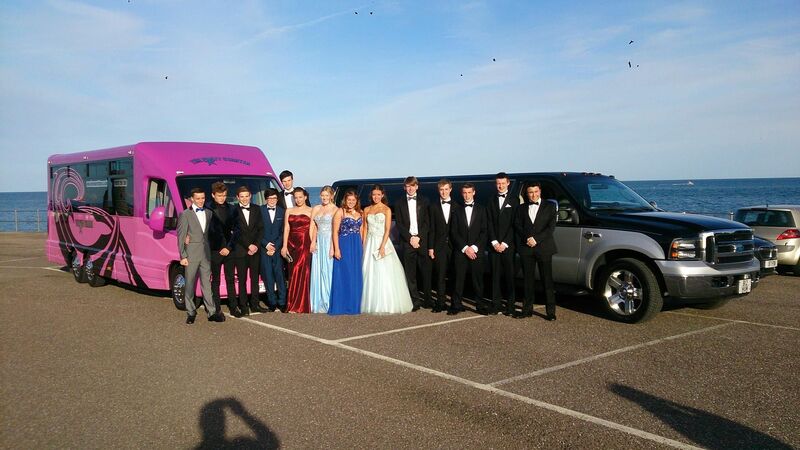 Make this event one to remember and arrive at your school prom in one of our stunning limousines! 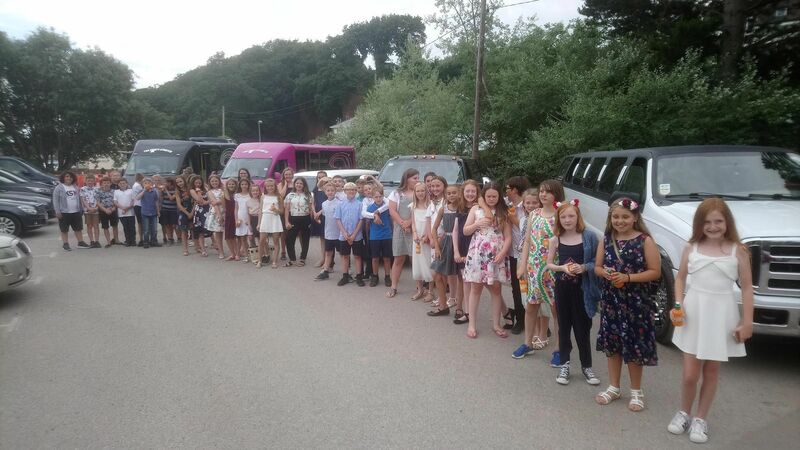 With year 6 primary school leavers there are often a number of children in one year we can take the stress away by not leaving anyone out and supply many limousines together then once we pick up the children we cruise around in convoy and stop for a photo shoot of the whole year together, we certainly make an entrance when we go through the town centres, booking is always advised early even up to two years in advance as everyone knows how popular Newton Abbot Limo Hire is for reliability and punctuality. 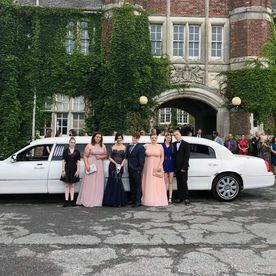 One of our fully uniformed chauffeurs will pick you up with plenty of time to take photographs, we will then take you and your friends on a drive around within your allotted time so you can experience the luxury of a limousine before dropping you off at your prom. We can also pick your friends up on route if required. All our limousines, Party buses and hummer limousines are supplied with complementary soft drinks. Whilst we supply music, you are also able to bring along your own playlists. Our Bluetooth connection and IPOD connections allow you to connect your devices to play your own music. Every single vehicle within you fleet has catered for a prom, each limousine has its own style and brings something unique to the table. Because of this, every limousine is suitable for prom hire. 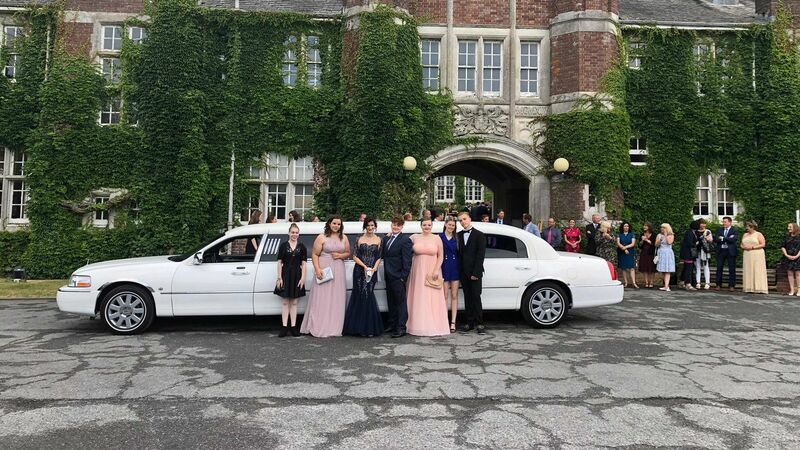 When you think of Proms it is one requirement that you travel in style, and to some it is key that their transport makes them stand out from the crowd. 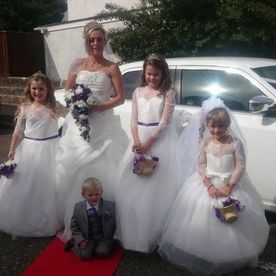 Here at Newton Abbot Limo Hire we can do just that for you. 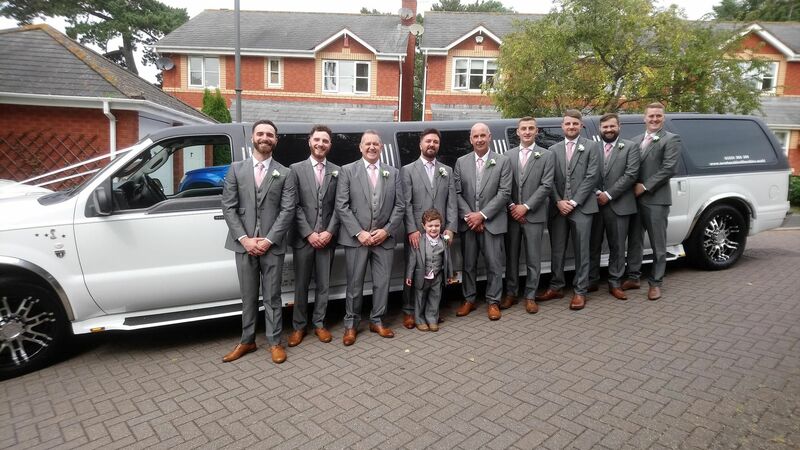 Being the only one of its kind in the UK and exclusive to us here at Newton Abbot Limo Hire, our 8 seat F250 Harley Davidson Hummer style limo will do just the job! This is the only one of its kind in the whole of the UK. When you see it, you cannot deny that it is a beast of a hummer. This special Hummer is unique to the eye both inside and out, with a variety of different features and accessories to offer we can assure you that you will not be disappointed. If you are looking for something unique, classy and magnificent then here it is! This Limousine will without a doubt stand out from the crowd, as this particular Hummer is so big and unique looking, you will find nothing else like it. You are sure to turn heads and see jaws dropping when you arrive at your destination. For the parents/guardian’s peace of mind, all our drivers are cleared by the Criminal Records Bureau (DBS Checked). Moreover, all of our vehicles are subject to 10 week inspections and all our larger Limousines are COIFED to meet VOSA’s strict hire and reward safety regulations and smaller ones are all licenced through our local council, which brings all our limousines in-line to the required insurance regulations. We are more than happy to answer any questions you may have on limousine regulations. 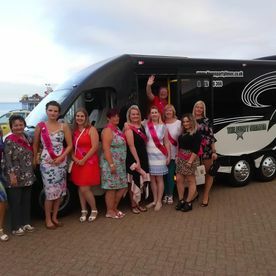 There’s no need to worry, our top priority is the customers safety and we always go that extra mile to ensure that whilst you have an amazing time you are safe, comfortable and at ease. 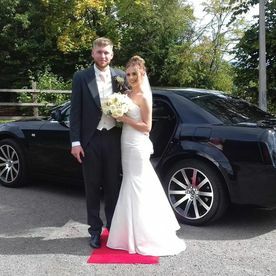 Here at Newton Abbot Limo Hire we take Weddings very seriously, having catered for numerous weddings in the past we understand how important and special this day is. Making an entrance on your wedding day can be one of the most important parts of this special day. 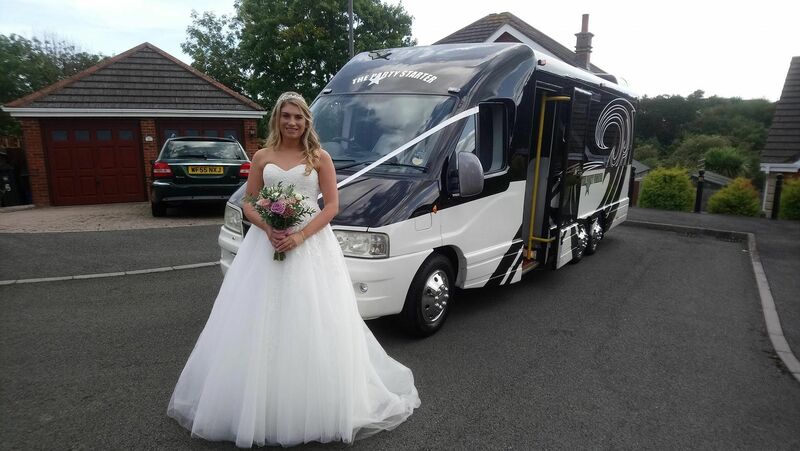 From the vehicle you arrive in to the dress you choose, you will want the best, so why not let Newton Abbot Limo Hire take care of your travel needs. We have years of experience in all different types of weddings and civil partnerships including Asian weddings, Chinese weddings, Brazilian weddings, Christian weddings and many more. We have several limousines within our fleet that are available and suitable for your special day. 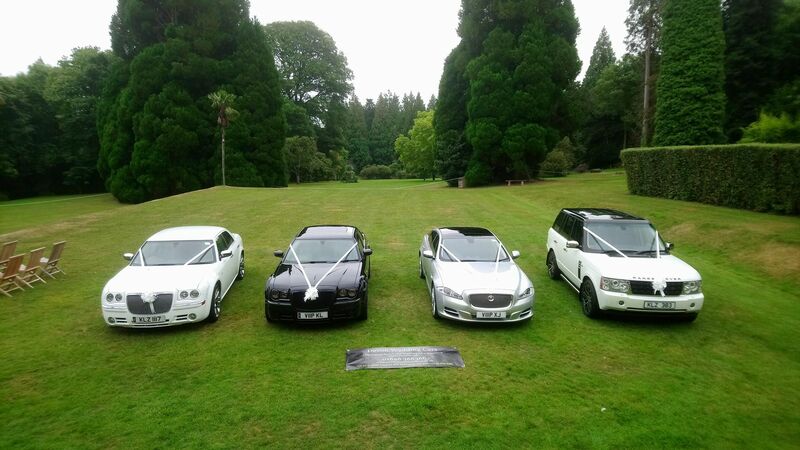 With a range of different limousines to offer you, all with their own unique style, there is something for everyone. 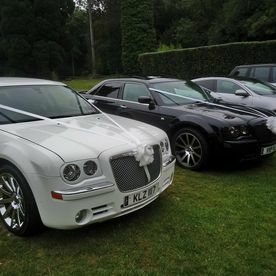 All of our vehicles are very popular for weddings whether it is just the two of you or groups of 8 or more we have vehicles to offer. These are the perfect vehicle choices to transport the bride, her father and possibly her bridesmaids. 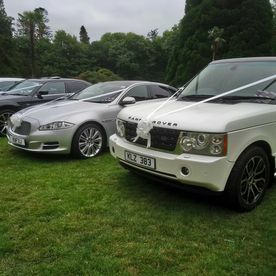 However if you require transport for a larger party then why not have two or more vehicles , these make perfect pairs, finished off with ribbons and bows in your colour scheme you are bound to look the bell of the ball on your arrival. 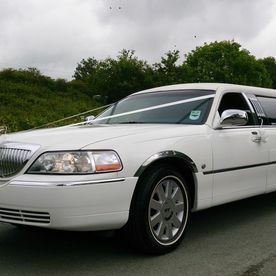 These larger Limousines or minicoaches are also ideal for shuttling wedding guests to and from your chosen destination/s. 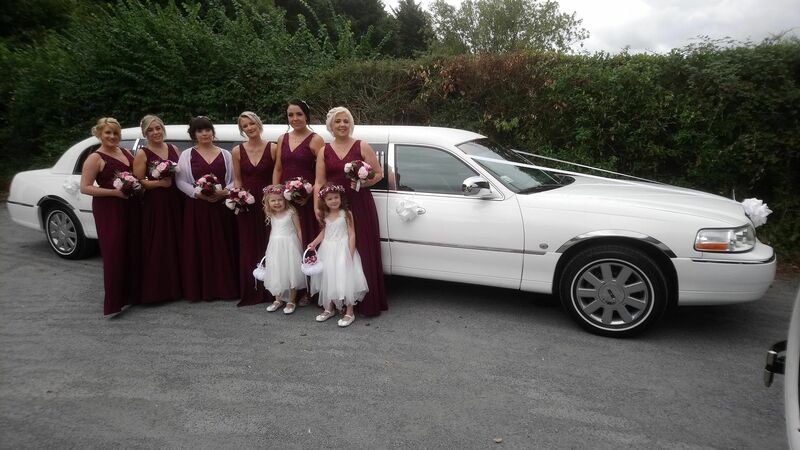 Our grand Fleet of Limousines, Wedding Cars and Minicoaches gives you a wide range of styles to choose from, whether you want a sophisticated, romantic or a fun wedding day, we here at Newton Abbot Limo Hire have a variety of vehicles to suit your needs. Make your wedding day even more memorable by hiring one/ or more of our Limousines, it is a great way to start of your special day. With plenty of room for your wedding dress to sit comfortably and luxurious interior you will have a moment of serenity before your big moment. 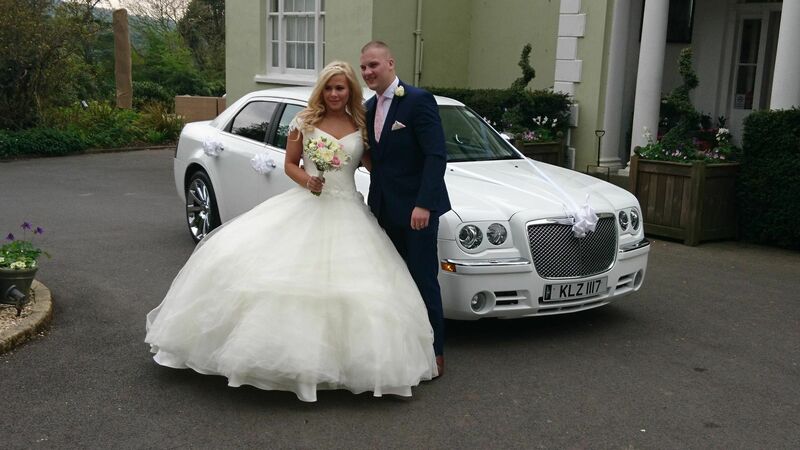 At Newton Abbot Limo Hire we also understand how important it is that your special day runs as smoothly and as perfect as possible. Our friendly team are therefore dedicated in making your time with us a stress free and enjoyable one. Who wants to stress over their transport on their wedding day? The answer is no one! 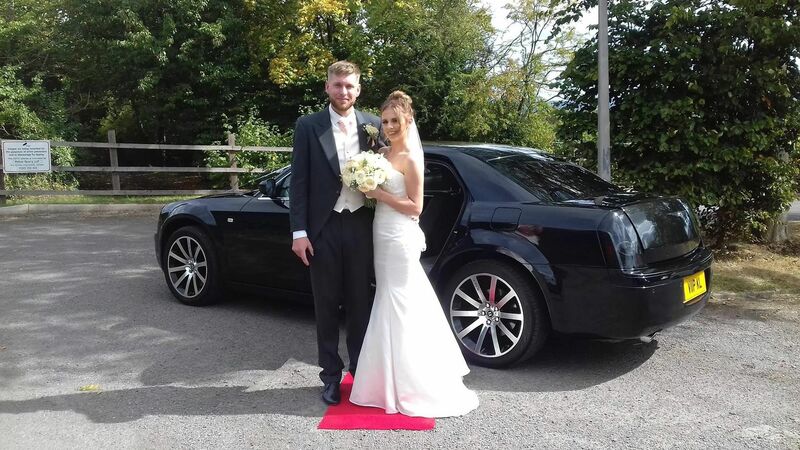 Here at Newton Abbot Limo Hire we can guarantee you that we will aid you in every aspect of your booking, making you feel secure and happy with what you are purchasing. We have also learnt from experience that some couples like to view the wedding vehicle of choice before booking. For us this is no problem. Book an appointment with one of our friendly staff and you will be able to experience your chosen car directly, inspect it and hop inside to make sure this is the vehicle for you! 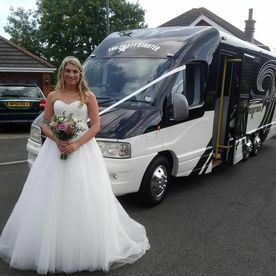 We also have a large fleet of minibuses which we also use for wedding transport these are also luxurious and can be used for Bridesmaids, Guests we quite often transport the whole party then you are sure everyone arrives and on time. 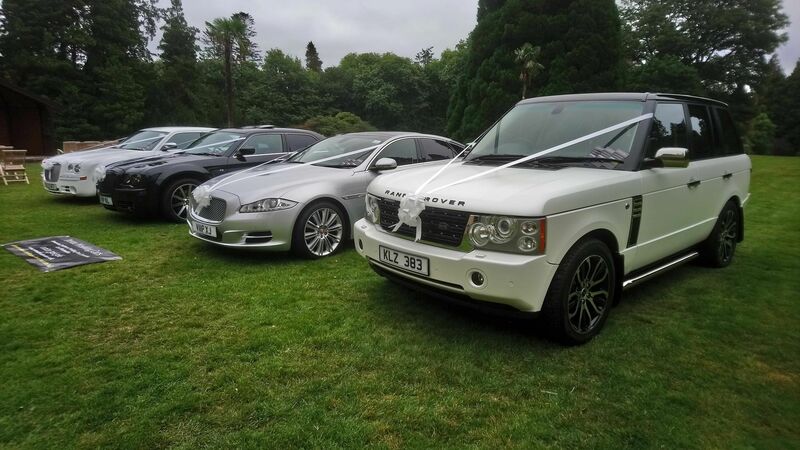 Here at Newton Abbot Limo Hire we have catered for, in the past, a variety of different occasions and events. 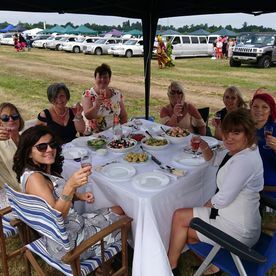 Whatever you are looking do to we can accommodate your transporting needs; many of our popular events we have catered for in the past have included: birthdays, anniversaries, cooperate events, award ceremonies, work parties, nights out, kid’s parties, shopping transfers and many more. Hummer 4 u limousines are dedicated to providing you with any type of transport you require, whether this contains drop offs, pickups, pit stops or other special requirements. Hummer 4 u limousines offer a range of different packages to suit your special occasion, one of our most popular packages is the ‘1 hour hire’. This would contain travel from your pick up to your specified destination, as well as time to sit back and enjoy all of the features our limousines have to offer. As well as this we offer tailor made packages to suit your exact needs, please do not hesitate to call the office and speak to one of our friendly staff on 01626 366366. They will go over your plans and requirements to create the perfect hire package. 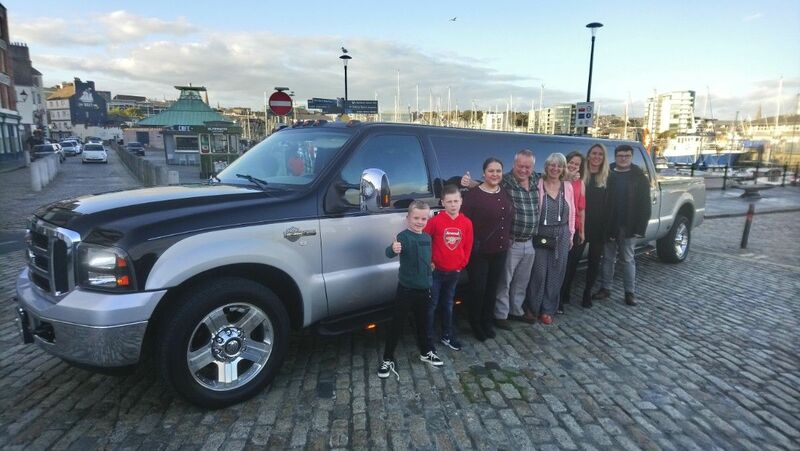 As a family run company, Newton Abbot Limo Hire are a very proud and confident run business, with over 12 years in the industry we can guarantee you that your booking process will be made easy and straightforward. 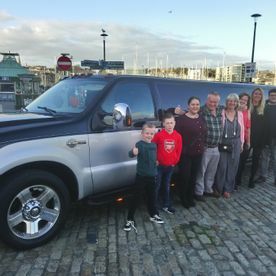 One of the things that is most important to us here at Hummer Limousine Hire Newton Abbot is that you get what you are paying for. With this in mind we offer face to face viewings with any vehicle of your choice, ring the office today to book your appointment. 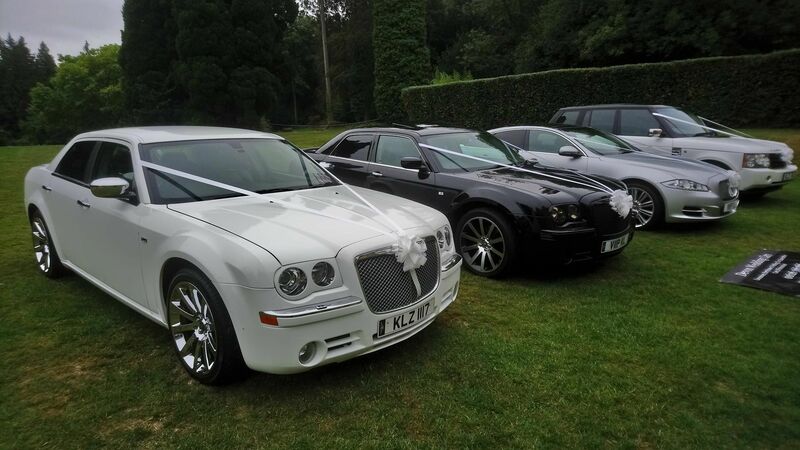 Newton Abbot Limo Hire offers a range of different Limousines for hire, with a variety of vehicles to choose from you are sure to find one that will accommodate your needs on your special occasion. 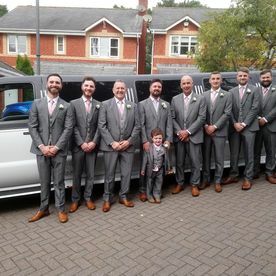 Here at Hummer Limousine Hire Newton Abbot we have Stretched Hummer Limousines, Chrysler Limousines and a Party Bus to offer. Each Limousine has its own unique and different features to offer; depending on your preferences you are sure to find the perfect limousine for you. 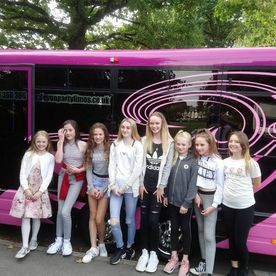 For those of you who are looking to hire a limousine for your children’s birthday the Pink Partybus and White Crush limo are ideal. Each contains the latest sound and lighting equipment, disco floors, mood lighting and exclusive to the Party Bus: a karaoke machine. 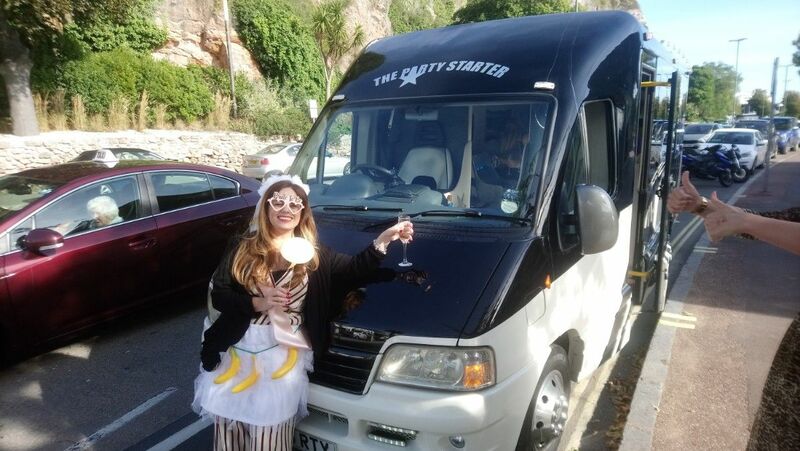 These vehicles are perfect for people who are looking for fun and entertaining transport, we like to call them our parties on wheels. 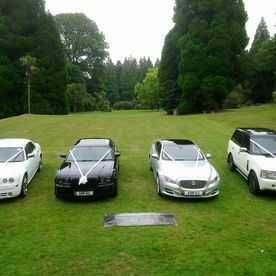 Hummer Limousine Hire Newton Abbot have catered for many occasions in and around the Devon and Cornwall areas, being based in Devon ourselves we have come to know some of the most popular and best destinations to visit in Devon and Cornwall. 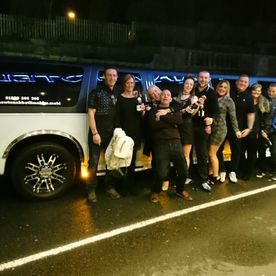 If you are looking to celebrate your 18th, 21st or any birthday or are even looking for a fun, spontaneous night out, Torquay, Exeter and Plymouth some great night clubs and bars to visit. Instead of wasting money on Taxi’s why not hire a Limousine, this often and nearly always works out as an affordable alternative. At least you will be guaranteed a lift home on time, with safety and comfort. A return hire to your favourite club or bar is a great way to start and end your special night. Fill out our quick quote form today or call us today on 01626 366366 to receive your no obligation quote or fill out a quotation form online. If you are happy with your quotation, it only takes a small deposit to secure your booking. Call us today with any questions or queries to avoid disappointment. We all know that being a kid is all about having fun and experiencing new things and sharing these experiences with friends. 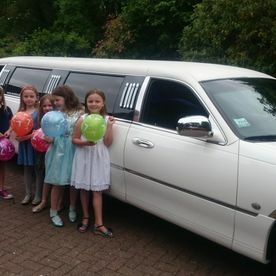 Children will always want to do something special, so why not give your kids and their friends a treat and take them out in one of our stunning limousines. 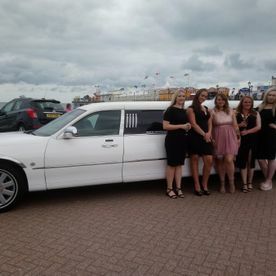 At Newton Abbot Limo Hire all of our limousines within our fleet come fully equipped with the latest hi-tech gadgets, including a very loud sound system, disco lights, onboard TV’s, iPod connections, colour changing fibre optics and many more. Keeping them entertained on board is no problem. Each booking is supplied with soft drinks your kids will be treated and be feeling like celebrities. It is the perfect choice for transporting them to their party or event. 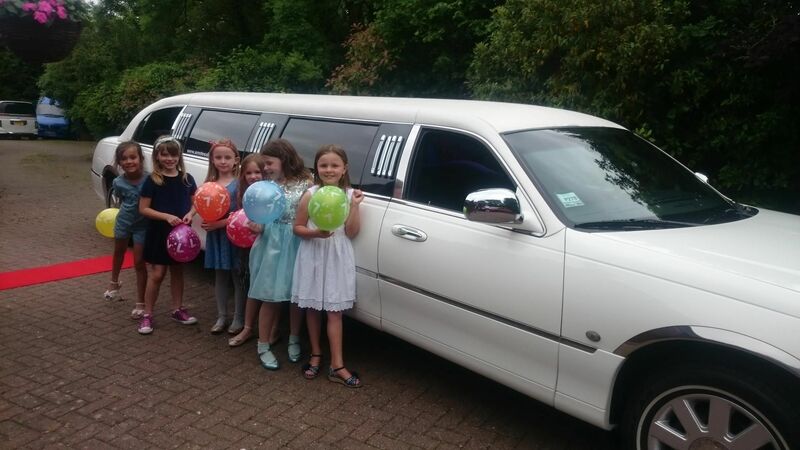 It is also a great idea for a birthday present, why not hire out one of our limousines for an hour to whisk you around town and be treated like true VIP guests. If it’s a trip to PIZZA HUT or a day out bowling, let Newton Abbot Limo Hire take care of all your travel needs! 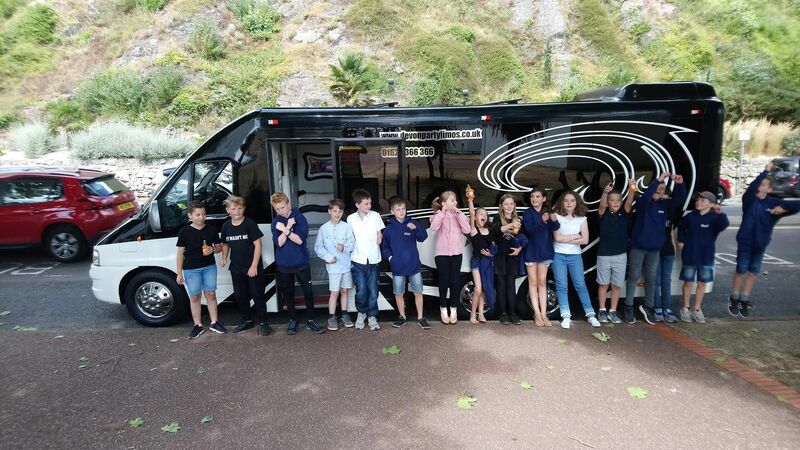 There is no doubt that your children will feel like stars cruising around in one of our limos before they are dropped off for a fun day packed with exciting activities. There is lots to choose from, with a fleet of 6 vehicles you are spoilt for choice! Visit our vehicles page to have a look at what we have to offer, each individual limousine has its own unique style and offers something different; we can assure you that no one will be left feeling disappointed! With over 12 years’ experience in the limousine industry we know how to maintain our vehicles and keep our customers safe! All of our vehicles are subject to 10 week inspections and all our large limousines are COIFED to meet VOSA’s strict hire and reward safety regulations and all smaller vehicles are licensed through our local council. All of what we do brings our limousines in-line with insurance regulations, there no need to worry, our top priority is the customers safely and we go that extra mile to ensure whist you have an amazing time you are comfortable and at ease. 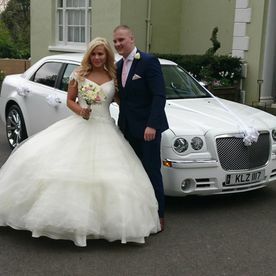 At Newton Abbot Limo Hire we are more than happy to forward supporting information or answer any questions you may have on limousine regulations. 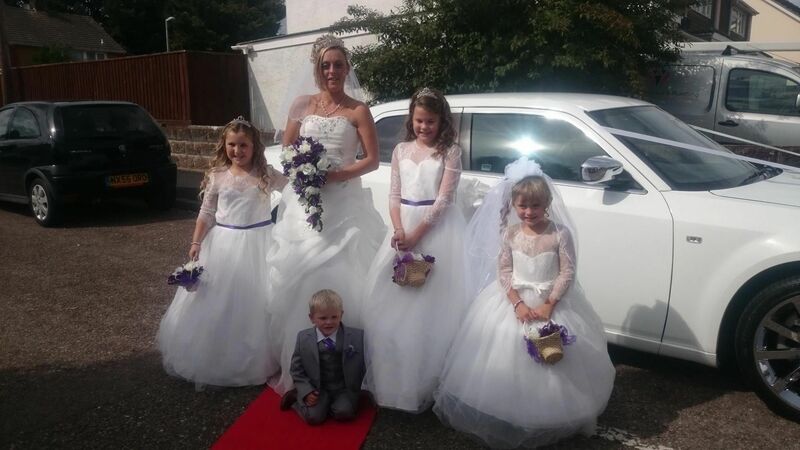 Call or email us today for further information on our limo hire in Newton Abbot. Proudly Serving across Newton Abbot, Devon, Cornwall, Somerset, and Dorset areas.